Everyone knows that water is important for good health, but it can be easy to forget just how many of our critical body functions depend on proper hydration or why it is important to drink more water daily. 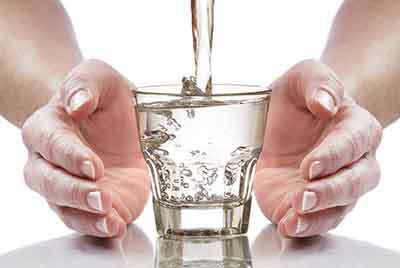 Many people do not drink enough water on a daily basis, and so are frequently dehydrated. Here are seven of the key health benefits or drinking more water to maintain a proper level of hydration. Drinking more water during the day helps you to lose weight in two ways. The first is that is prevents your body from retaining water weight, thus slimming you down. Drinking more water also helps to keep your kidneys functioning optimally. When your kidneys are filtering at full capacity, stress is taken off of the liver, which can then more easily perform its function of metabolizing fat that has been stored. For these reasons, getting enough to drink is critical when trying to lose weight. Like many other tissues in the human body, the brain is mostly made up of water. It is therefore essential to stay properly hydrated if you want your brain to function at its peak capacity. Studies have linked dehydration to cognitive impairments that range from decreased memory and mental fatigue to slowed reaction time and mood swings. Drinking the right amount of water is one of the best things that you can do to keep your brain in top shape, and even minor dehydration can have negative effects on it. By hydrating the tissues that move against each other at joints within the human skeletal system, water can have great benefits for joint health. It can also help to improve joint function by promoting nutrient delivery to these tissues, helping to keep them from wearing out prematurely. While it will not necessarily cure all joint health issues, water is a key part of keeping the joints in your body as healthy as they can be. Getting through the day without becoming exhausted can be difficult enough on its own, but being dehydrated will only make the problem worse. Because water plays key roles in both metabolism and the flushing of toxins from the system, a lack of it can cause reduced overall body function, leading to a feeling of weariness and fatigue. Staying hydrated will help you to maintain your energy levels by allowing your body to burn the fuel it needs efficiently while removing waste materials. By both acting as a natural moisturizer and removing the toxins that frequently cause skin outbreaks, water helps to keep skin looking naturally young and healthy. While this is more cosmetic than it is a critical component of health, the condition of your skin is also a good indicator of the condition of your body as a whole. If your skin is clear and smooth, you can be relatively sure that the toxins are being properly flushed out of the more vital parts of your body. Aside from removing the waste materials produced by the processing of nutrients, water also helps to absorb nutrients into the body. From the saliva that begins the digestion process to the absorbing of nutrients in the small intestine, water is present at nearly every stop of the processing of food in the human body. For this reason, it is essential for proper nutrient absorption that you drink more water daily to give the body enough water to carry out these processes. This is true of all nutrients, from minerals to carbohydrates. For those who are trying to build muscle mass, water is at least as important as a set of dumbbells. Water has many functions in promoting the health and development of muscle tissues. These range from flushing lactic acid from these tissues after an intense anaerobic workout to facilitating the delivery of the nutrients that are required to rebuild torn muscle fibers and grow larger muscles. Proper hydration can also help to prevent cramping and improve muscle strength by delivering electrolytes to the muscle tissues. Of course, these are merely a few of the hundreds of individual reasons that drinking more water is critical for human health. If you are prone to only drinking small amounts of water during the day, consider increasing your intake to start seeing these and many other health benefits. 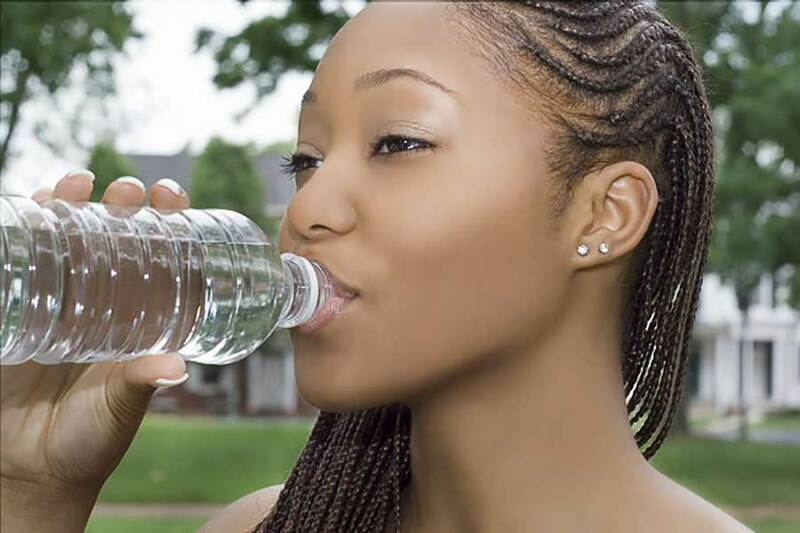 In case you are wondering whether or not you are getting enough water, a good general rule of thumb is that the average man will require 3 liters (0.8 gallons) of water per day, while an average woman will require 2.2 liters (0.6 gallons). For the sake of convenience, you can also apply the common rule of drinking 8 glasses of water that are 8 ounces each on a daily basis, though this will not quite get you to the recommended averages. If you exercise intensely or live in a hot climate, your needs may be greater, as you will lose water in the process of sweating under these circumstances.